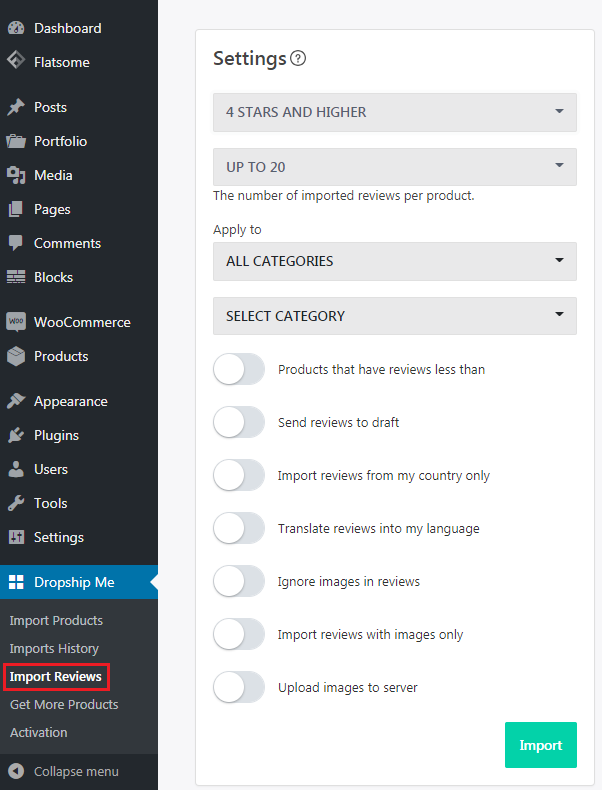 The Import reviews option in DropshipMe plugin allows to add AliExpress buyers’ feedback directly to the product pages of your store. To apply necessary settings, go to DropshipMe => Import Reviews. From the dropdown menus select the star rating and the number of reviews per product you want to import. You can import reviews to all products, to a particular category or to several categories per one time. You can select products that have less than, e.g., 5 reviews and add more reviews to them. Choose this option if you do not want to publish reviews immediately. You can import reviews left by customers from a particular country. 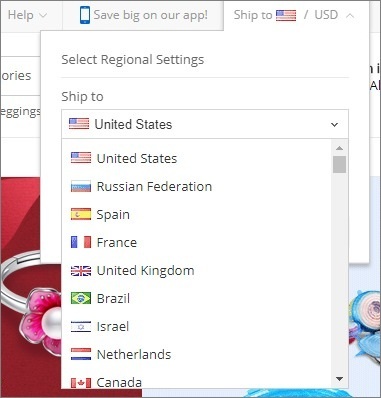 Before importing reviews and applying this setting, go to AliExpress.com and select necessary country in regional settings. Please note that your language must be included in the list of languages officially supported by WP. To check this, go to Dashboard => Settings => General => Site Language. Before importing reviews, visit AliExpress and make sure you have appropriate language settings there. Some AliExpress buyers attach images to their product reviews. Use this option if you do not want to import reviews with product pictures. Enable this option if you want to import reviews with attached product pictures only. If this option is activated, all images attached to reviews will be uploaded and stored on your server, otherwise they are stored on AliExpress and you obtain only links to these images. After applying necessary settings, click Import button and wait for a progress bar to finish. If you need to add reviews to a particular product in your store, go to Product Options => Reviews and click Import. Please note that on WooCommerce-based sites some review details like star rating, flags, etc. may be shown differently or be missing at all. It depends on the installed WooCommerce theme. It does not mean that there's something wrong with the plugin - the plugin imports all available information, but the theme settings do not allow to display everything. The product on AliExpress has 100 reviews, but the plugin imported only 50, why? The plugin skips reviews from the same users and reviews without any text. Also, if you choose import reviews with images only, the number of reviews could be less, because product could not have that amount of reviews with images. That is the reason why the number of imported reviews may be different from the number of reviews presented on AliExpress. How can I edit or remove reviews? Go to your WordPress Dashboard => Comments to manage your reviews. How to disable email notifications when importing reviews?